Viacom International Media Networks is to launch Paramount Network in the UK in July as a new destination for scripted drama, comedy and movie content. The channel, which will launch on July 4, will be scheduled and programmed by the Channel 5 editorial team under the direction of Ben Frow, director of programmes at Viacom-owned Channel 5. 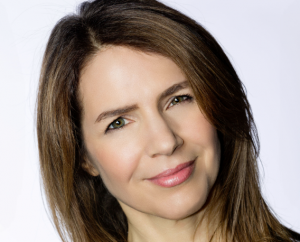 The international rollout of the channel is being overseen by Jill Offman, EVP Comedy Central and Paramount Network International. Content to premier on the new channel will include Kiefer Sutherland drama Designated Survivor and US comedy series The Mick starring Kaitlin Olsen. Other shows include Lip Sync Battle US, Six, Heroes Reborn and Will & Grace. Movies to be aired include War of the Worlds, Catch Me if You Can, The Shining and Jackie Brown. The UK launch follows the rebranding of Paramount Channel as Paramount Network in Spain. In addition to Paramount Network in the US, Spain and now the UK, a localised version of Paramount channel is on air in 11 other territories internationally.